Before I get too far into this post, let me take a moment and give God a shout of praise! As some of you may recall, I have spent the last 18+ months working on my graduate degree in Managerial Science. Last week my final assignment for the semester came due and I fretted over my grade. Going into the last bend, I had a perfect grade and the reality was that my final paper could only hurt my grade. I am happy to report that I earned a perfect A+ 100! on my paper summarizing the history of operations management and examining current trends and issues facing modern management professionals. I am thankful for the strength and ability God gave me and the support my beloved Sweet T provided through the last couple of weeks. One more semester to go! Woohoo!!! As you might gather, I am a passionate lifelong learner. I like doing new things. New, unique adventures along this journey of “my life” are something I genuinely look forward too. Keeping my mind engaged is something I’ve learned is key to my physical and spiritual health, as well as my mental wellness. That’s why I enjoy solving puzzles and trying to figure out mysteries or studying history. Recognizing where you’ve been is an important part of knowing where you’re going. We cannot undo the past, but we can certainly learn from it. Turmoil is nothing new. We live in turbulent times, filled with discouraging divides, and featuring polarizing perspectives. Everyone has support of their own herd’s echo chamber. We claim victory when the people forming our tribe agree with our POV. We hear, but we do not listen. Listening appears to be a lost art. It is difficult to do when you’re always talking or busy thinking about your response rather than seeking to understand, before being understood. This is true in our individual one-on-one relationships and in our broader community relations. We have our personal circle of loved ones made up of family and friends. We are also neighbors, residents, and citizens of the places we call home. None of us live in a vacuum. Each of us must strive to stay connected despite our differences. When I check social media, I find a lot of venomous rage and shade thrown towards those of opposing views. It’s always been easier to chew someone out over the phone than face-to-face. Sure, it takes courage to speak truth in kindness to another person when we disagree with them. Of course, just because we have an opinion, doesn’t mean someone else wants to hear it. That’s a hard pill for us to swallow. We don’t all agree. That does not mean we cannot have civil discourse about tough issues that challenge how we live. On the contrary, I believe it makes having a genuine conversation—one that involves twice as much listening as it does speaking—about hard realities imperative. I think if we can get beyond all the hubris and ballyhoo, we might find that we are not as far apart as we’re led to believe. We are imperfect people living in an imperfect world. Love God with your everythingness and love others, including those you disagree with, with the same passion you love yourself. Be the salt and the light amid an ever-increasing darkness. 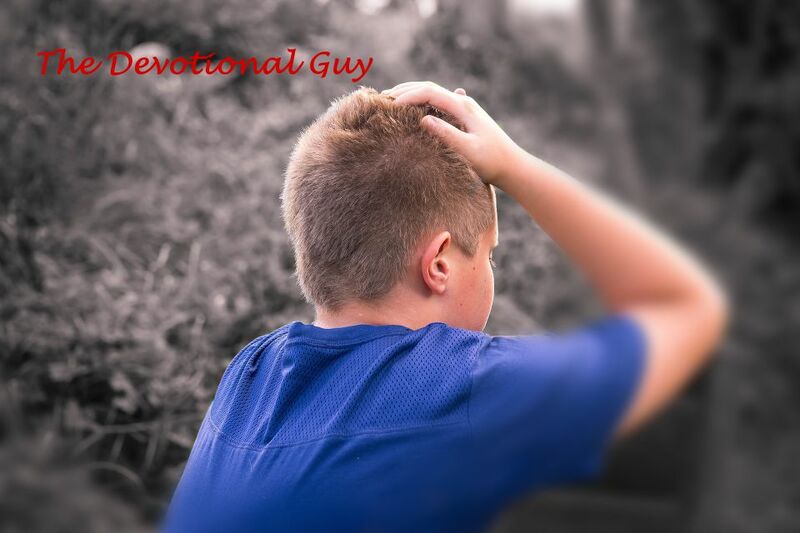 Like the Devotional Guy on Facebook! If you like this blog, please share it with your friends. The more the merrier!